I did not know much about Air purifiers before writing this article. 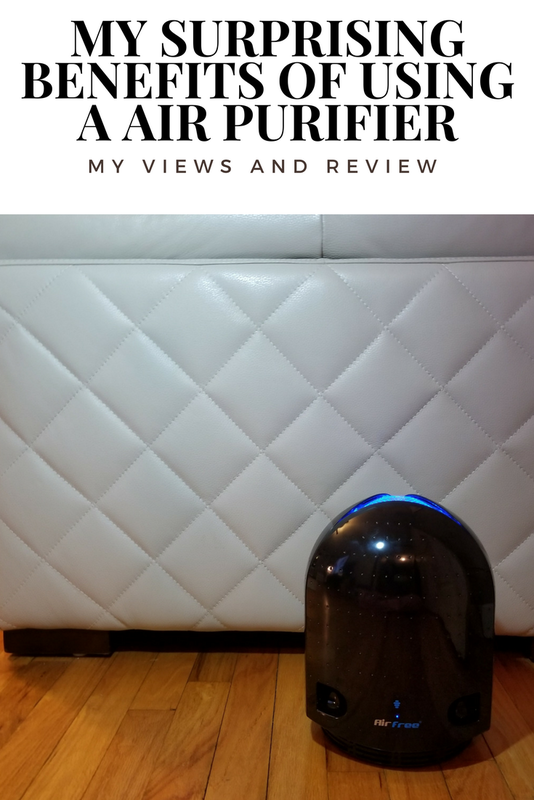 Over the past several weeks I have been using my new AirFree purifiers in my bedroom and one in my living room. I always assumed it worked the same way as a humidifier, I was very wrong. I did a lot of research on what they do and how they work. I learned a lot and I really wanted to put them through a rigorous test. It is said that your indoor air is often much more polluted than the air outside. When I learned this I really was shocked. Since we spend most of our time indoors, our exposure to poor air quality puts us at risk for a number of ailments, including allergies, asthma, and respiratory issues. Using an air purifier will help create cleaner, healthier air in your home or office, so you can prevent air quality-related health conditions. A virus or bacteria can survive in our home or office for up to 24 hours. This unit is small and compact does not take up a lot of room. It is completely silent. I had to check a few times to make sure it was on because there was no motor sound. I received for review two AirFree Onix 3000 systems to test and write my thoughts and opinions on how they work and if these purifiers really help you be healthier in the sense of helping allergies, smells, etc. I placed one air purifier in my living room next to my couch on the floor. This room is one of the place we all stay. The second purifier I put besides my bed on the floor. 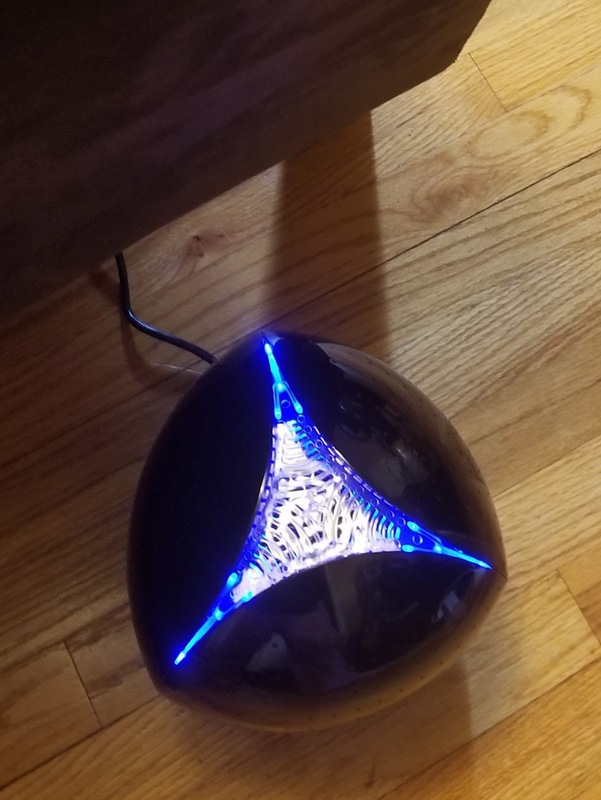 They say it can remove the smallest microbes in the air, reducing harmful airborne germs that not only include cold and flu viruses but also dust, pollen, mold spores, pet dander. With the flu season so rampant in the United States this year I was so worried about the germs being brought into the house and one of our family members getting sick. I know it can not stop someone from getting sick but I know now it can decrease the risks of the viruses being airborne. I did notice my furniture was not as dusty before placing the air purifiers in the rooms. I suffer from adult acne. I see a dramatic difference in my skin's appearance. I have very oily skin and when I wake up I no longer have oily skin has less breakouts. I always had stuffy nose at night and now wake up and my nose is clear. Cooking smells have decreased, the smell does not linger on for hours. The dander from my 16 year old Yorkshire Terrier has decreased. She does still smell from age but does not omit an unbearable odor before using the air purifiers. I cannot judge the microfibers in the air, if we are not getting sick because we have the purifiers. I can only go by what professionals say that it does help. I am very satisfied with the results of having air purifiers in two rooms. I will purchase from AirFree because I believe in their product. I do recommend having them in your home. The AirFree Onix 3000 does not have a filter which I am very happy that it is not needed to be tended to, it is filterless. The capacity of the Onix 3000 is 650 Sq. feet. This model is not only purifying my living room but also my kitchen and hallway. Visit Airfree to find out what size purifier would be good for your home. You can also purchase this Air Purifier from many retailers on-line or in stores. I received for review two complimentary AirFree Onix 3000 systems to test and write my thoughts and opinions on how it works and if it works. All words and opinions are my own.